Wouldn't it be great if your child were more focused at school? Imagine if they picked up their room the very first time you asked them without whining or complaining. Build a child who is full of confidence, unwilling to be bullied, and strong enough to be a leader at home, school, and in our community with our Kids Martial Arts Classes at New England Martial Arts. With our Kids Martial Arts classes in Marlborough, we want to see your child be successful on and off the mat. At New England Martial Arts, we teach the basic moves of martial arts that every kid loves, but we also instill valuable life skills that your child can use in all aspects of their lives for years to come! Our students gain vital self-defense moves, that not only prepare them for any situation but will keep them in great physical shape! And the best part is, children of all backgrounds and experience levels are welcome to join. No prior knowledge is required! Your child will love the fast-paced kicks, punches, and jabs that Kids Martial Arts has to offer. We guarantee you child will leave each class excited to return! And you will love the results! And improved confidence in their child after just a few classes! PLUS Enjoy Kids Martial Arts Classes For Even The Youngest Students! 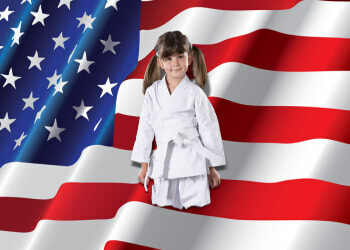 Little Kids classes at New England Martial Arts will keep your child active with Martial Arts exercises that kids love! Between chopping, blocking, and kicking, your little one will be jumping for joy! 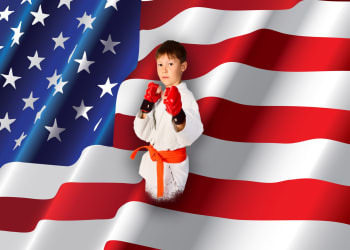 The benefits of enrolling your child in Little Kids Martial Arts classes are endless! You'll see your 3-6-year-old gain respect for themselves and for others in a short amount of time. And you'll get peace of mind knowing that your child is better protected against bullies and predators. The benefits of Kids Martial Arts are endless and will stick with your child for a lifetime. 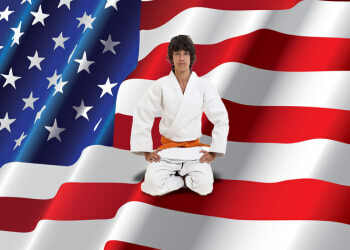 Enroll Your Child In Kids Martial Arts Today! Give your child the gift of Kids Martial Arts today. For more information on New England Martial Arts and the many classes we offer in Marlborough, all you have to do is fill out the short form on your screen to request more information. We will be in contact soon to answer all of your questions and get your child signed up in the mean time Click Here to check out our Martial Arts schedule!